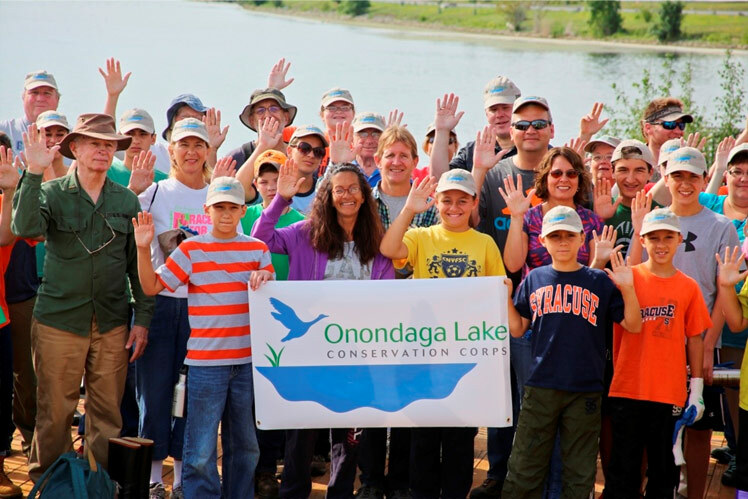 The Onondaga Lake Conservation Corps is an expanding organization of community volunteers who are contributing to restoration projects that are creating or improving wildlife habitat in the Onondaga Lake watershed. 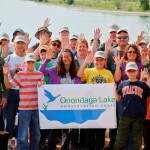 The Corps was founded in 2012 to inspire future stewards of Onondaga Lake and its watershed through a hands-on, experience-based program that offers citizens and organizations the opportunity to participate in activities that help restore and sustain Onondaga Lake and its value as an Important Bird Area. 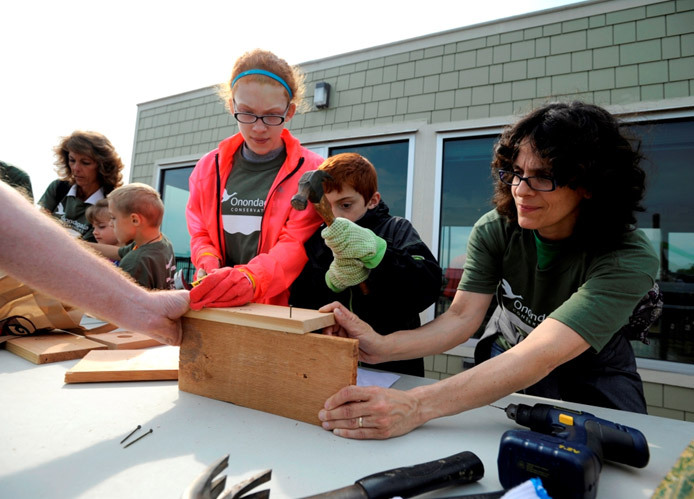 The Onondaga Lake Conservation Corps was founded by Honeywell in partnership with Montezuma Audubon Center and Onondaga Audubon and is now an Audubon New York program. 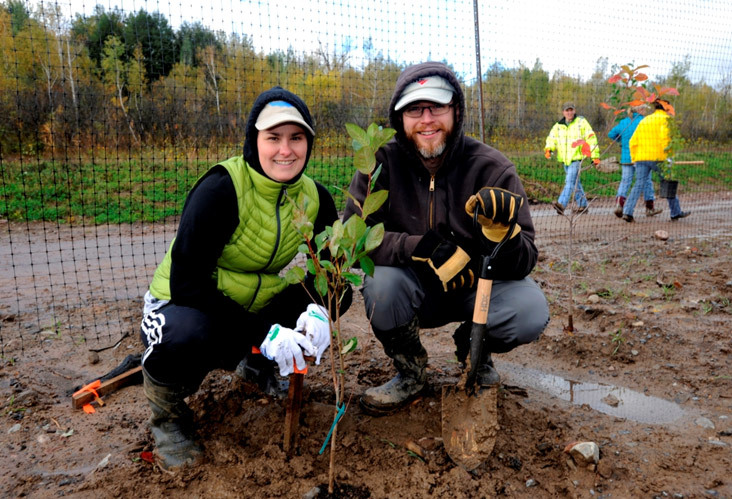 Additional Corps supporters include Parsons, OBG, Anchor QEA, Bond Schoeneck & King, State University of New York College of Environmental Science and Forestry, and Wild Ones Habitat Gardening in CNY Chapter. Schools, community groups, local organizations, and individuals are welcome. To learn more or participate in future activities, please visit ny.audubon.org/OLCC, contact montezuma@audubon.org or call 315-365-3588. The Onondaga Lake Conservation Corps has developed a curriculum for students based on the Onondaga Lake cleanup. 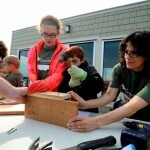 The activities are designed to reinforce New York State standards and Next Generation Science Standards. Students learn how science, technology, engineering, and mathematics (STEM) have led to improvements in Onondaga Lake and the surrounding areas. 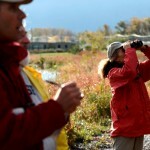 This includes the resurgence of about 90 acres of wetlands on the shores of Onondaga Lake and along the lake’s tributaries, which benefits birds, fish, other wildlife and people in our community. 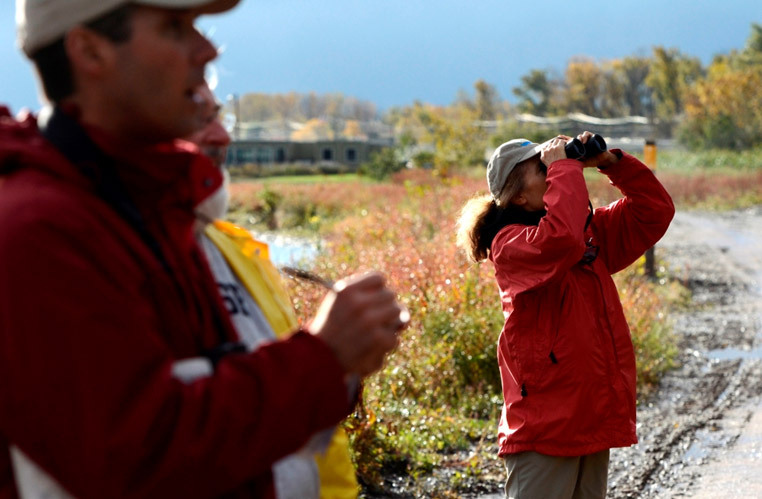 The goal of the curriculum is to help students understand the value of Onondaga Lake as an Important Bird Area while participating in engaging classroom and field trip activities. Worksheets can be utilized before, during, and after a visit to the Onondaga Lake Visitors Center. 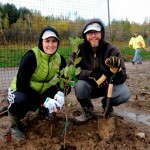 They highlight important aspects of the lake cleanup.